I just had a telephone conversation with Jan Piotrowski from SciDev.net. SciDev is an excellent web site that looks at science and science policy interfaces in the area of sustainable development. 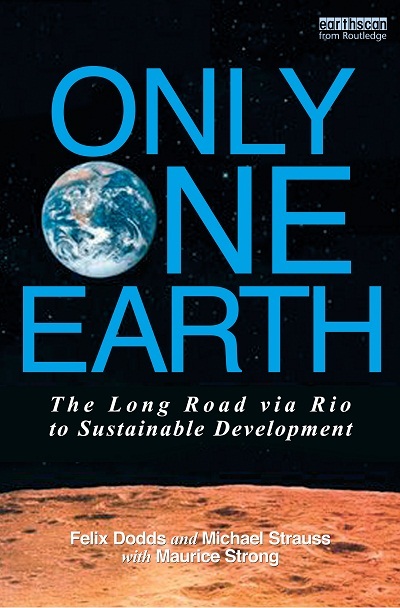 Jan was calling me for a comment on the paper Anita Nayar and I did for UNEP's Perspective Series on Rio + 20, which was published on December 24th. While he was obviously more interested in the science side of the Rio+20 outcomes, it made me think more about the paper that Anita and I had originally written late last summer and how we had widely consulted with stakeholders on particular sections they had been involved with. If you haven't read the paper I encourage you to read it. 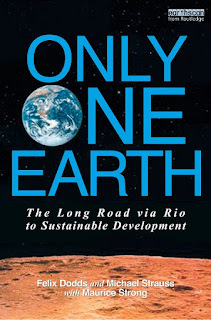 If you find yourself enjoying it then I highly recommend reading Only One Earth - The Long Road via Rio to Sustainability which I did with Michael Strauss and Maurice Strong. This book gives you an understanding that these conferences are important but happen within a world landscape and what is achieved is achieved in light of that. I don't think anyone would say that Rio+20 was adequate to the challenges we face, but it is even more difficult to remember how far sustainable development had fallen before the Rio+20 process. Two failed Commissions on Sustainable Development and the Copenhagen COP contributed to a feeling of depression. 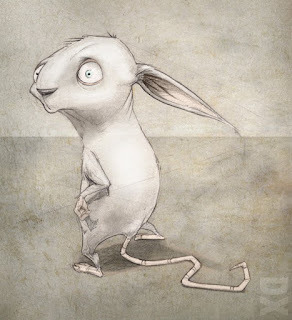 It seemed as though we were like a rabbit in the headlights of an oncoming disaster. The solid work done by people from stakeholder groups, governments and the UN to rebuild a base to work off cannot be underestimated and is often not appreciated. Of course Brazil deserves huge credit but they had many friends who helped as well. 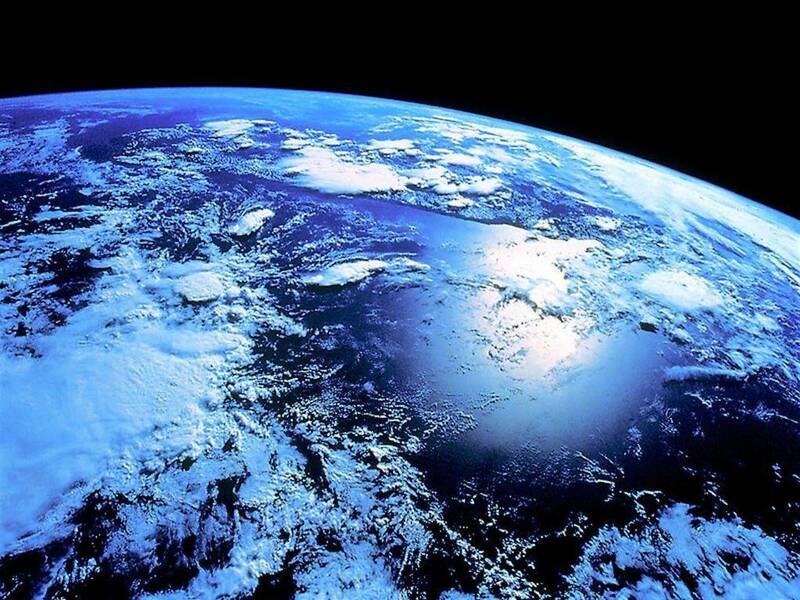 Perhaps now is a good time to reflect on what has happened since Rio+20 -- a kind of update. I will try and do this every six months so that we can see how the implementation of Rio is going. On the issue of governance - Rio had two main recommendations. The first was to upgrade UNEP into a universal body for the environment. Prior to Rio it was an elected body of only 58 member states. In December the UN General Assembly endorsed the Rio recommendation and in February, instead of 58 countries, 193 will have the opportunity to meet and address the challenges facing the world. The other recommendation from Rio+20 on governance was to close down the Commission on Sustainable Development and set up a 'High Level Political Forum' on Sustainable Development either within EcoSoc, between EcoSoc and the UNGA or some hybrid body in that space. The first meeting to discuss that will be in January and will be completed in the next six months so that it can have its meeting at the end of September. Perhaps the most important development from Rio+20 was the agreement to develop Sustainable Development Goals as part of the development of post 2015 development goals. Prior to Rio, sustainable development had not played much of a role in the discussions on what would replace the MDGs in 2015. The agreement to set up an intergovernmental group of 30 to develop the goals has proved more difficult than had been expected because of the number of governments wanting to be on the group. This should be resolved in a matter of days. A provisional list is circulating which has most countries sharing a seat with at least one other country and in one case four countries sharing one seat amongst each other. The advantage of over 60 countries engaging is that what comes out is likely to have a significant impact on the post 2015 development goals. Rio+20 also agreed to a 10 year Programme on SustainableConsumption and Production. Additionally, in December the UNGA assigned UNEP to provide the secretariat for the follow up. The final body that was agreed to be set up was an 'Intergovernmental Committee' which is to provide options for effective sustainable development financing strategies. Also a 30 country intergovernmental body will use the same formula as the one that is ultimately agreed for the setting up of the Sustainable Development Open Working group. As such, it will probably be set up by the last meeting of the UN Commission on Sustainable development in May. As we can see, the processes agreed to at Rio are now well into being implemented. As I said at the beginning of this blog, it isn't enough to address the challenges facing us but it is building a firm base where those can be addressed. Compared to six months after the 2002 Johannesburg Summit this is very good work. In the area of Corporate Social Responsibility and the push for guidelines on corporate reporting, which wasn't agreed at Rio, Brazil, Denmark, France and South Africa announced the setting up of 'Friends of para 47' to 'advance corporate sustainability reporting. They have met and expect this discussion to come back to the UN in the near future particularly because some of the countries that originally opposed are now having second thoughts. My final comment on today's blog is on the green economy. The Rio process spent a lot of time discussing the problems of the term instead of looking at how we create an 'inclusive and more green economy.' The World Bank has initiated this 50 country - 50 companies Natural Capital Accounts process and in April the countries and companies will be reporting progress on setting up these parallel accounts. This is very important development as governments start to try and integrate natural capital. Watch this space.